This post is the last in a series looking at the budget cycle and how civil society can most effectively engage at each stage of it. The previous post in this series addressed how civil society can play an important accountability role in the budget execution phase, in which the Enacted Budget is executed. This post will focus on the budget oversight stage. What Happens at the Budget Oversight Stage? Budget oversight includes a number of activities that aim to measure whether public resources have been used appropriately, effectively, and efficiently. At the end of the fiscal year, the executive branch should report its financial activities to the legislature and the public, as well as to an independent and professional supreme audit institution (SAI). Nearly every country in the world has a functioning SAI that is mandated with checking whether public funds are being managed properly and in line with the law and sound financial management practices. Depending on the country, SAIs can be named the Office of the Auditor General (in Westminster systems), the Court of Accounts (in Napoleonic systems), or the Board or Commission of Audit (in parts of Asia and Latin America). SAIs assess the proper use of public funds by conducting financial audits that examine the legality of financial transactions, as well as the efficient and effective use through performance audits. SAIs then submit their findings and recommendations for addressing identified problems to the legislative committee responsible for oversight, which then should convene hearings to discuss the major findings and call on the executive to act on the recommendations. The SAI should also release its Audit Report to the public in a timely way after the end of the fiscal year. Measuring how effective public spending has been in reaching desired outcomes requires identifying appropriate indicators of impact and collecting and correctly interpreting the data on these indicators. Although measuring outputs (i.e., the level of public goods and services produced for a given level of expenditure, such as the number of children immunized or the number of girls enrolled in primary school) requires an effective data collection system, it is a relatively straightforward exercise. Evaluating the impact, or outcomes, of expenditure is much more difficult and requires the capacity to identify the value added from a particular government policy or program. Although measuring impact of government spending can be difficult, it is critical as public finance systems use scarce public resources to meet the needs of a country’s people. Civil society organizations (CSOs) can only effectively use Audit Reports if they’re published in a timely manner. 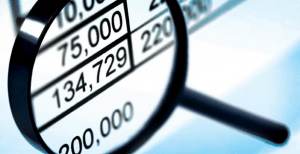 An Audit Report can be a valuable source of information for assessing how well, or poorly, the budget was implemented. The report frequently discloses underspending or overspending in programs and agencies, and can therefore be used to uncover fraud, identify unauthorized or unsubstantiated expenditures, or highlight systemic weaknesses in financial management practices in public sector agencies. These reports can provide a wealth of information to CSOs that are interested in assessing problems in budget implementation. Audit Reports are often the only independent source of information on the government’s fiscal management, making them a critical source of information for civil society to assess whether the government is spending public funds appropriately and effectively. For example, in Argentina, the Asociación Civil por la Igualdad y la Justicia (Civil Association for Equality and Justice, or ACIJ), used an Audit Report to investigate government procurements made for the national airport. The Audit Report for the agency responsible for the procurements reported serious deficiencies in the agency’s management. The government, however, ignored the recommendations, taking no action to rectify the problems. ACIJ demanded that it be allowed to attend meetings of the legislative committee (Comisión Mixta Revisora de Cuentas, or CMRC) responsible for reviewing audit reports, meetings that were traditionally closed to the public. CMRC staff not only denied ACIJ’s request but also told ACIJ that the committee did not actually meet to discuss the audit findings; instead, the committee secretary approved certain audit recommendations and then obtained signatures of consent from the other committee members. ACIJ filed a lawsuit demanding that CMRC meetings be open to the public and obtained a favorable ruling. ACIJ then filed and won a second suit to gain access to minutes of previous CMRC meetings. The meeting reports were found to contain many irregularities; 17 of the 65 reports contained false information, including falsified meeting attendance records. ACIJ publicized these findings and demanded corrective action in national newspapers, and in turn spurred the CMRC to begin meeting regularly (and properly) to discuss Audit Reports. ACIJ’s strategic use of government documents, the legal system, and the media led to a positive outcome: a more transparent approach to legislative review of Audit Reports. SAIs should be mindful of the positive impact that citizen and civil society engagement can have on budget oversight, thus contributing to a more an effective audit process that holds government to account for using public resources equitably and as intended. Likewise, CSOs should use available audit information to play an effective role in ensuring that public money is used to meet the needs of people.